In preparation of Sohbet with Mansur Johnson, author of "Murshid"
O precious Master of my Heart! 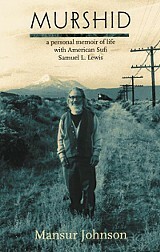 This is a post in preparation for a Sohbet / Interview with Sufi Mansur Johnson (Otis B. Johnson) who is the author of the book, Murshid: a personal memoir of life with American Sufi Samuel L. Lewis, and a close disciple of Ahmed Murad Chisti, who was fondly called Sufi Sam among those who came to love him. 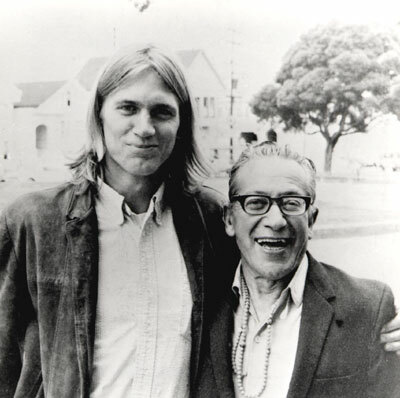 In the book Mansur Johnson details his three-year association with his teacher Samuel L. Lewis in the San Francisco Bay area during the late 1960s. In the book is Johnson's journal of the time, examines the final years of an intense mystical guide, as well as the peaks and valleys of Johnson's spiritual odyssey. The book is also a time travel back to California's eclectic spiritual counterculture of that period featuring many of the prominent personalities of the time. The book details a unique adventure of spiritual discovery and transformation. Comparing favorably to Irina Tweedie's Daughter of Fire, which is an autobiographical account of her Sufi discipleship with an Indian teacher, the book Murshid describes an even more unique relationship, that of an American student of American Sufi teacher. Who was Sufi Ahmed Murad Chisti? 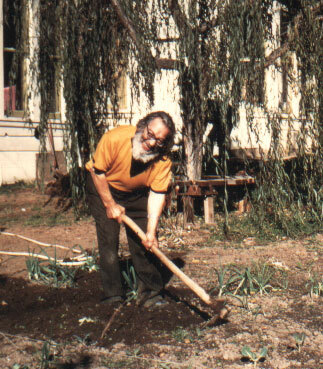 Mystic, Sufi Master, Zen Teacher, Peace Activist, Horticulturist, Scientist, Madzub: Samuel L. Lewis has been called these things and more. The originator of the Dances of Universal Peace was a spiritual renaissance man whose life and teachings were a testimony to truth, originality and embodied spirituality. Though rejected by polite society and even his own family because of his spiritual leanings, Samuel Lewis remained true to the penetrating spiritual vision of human liberation at the core of his being. His life, often difficult, bore much fruit for his students and for the world. Born in October 18, 1896 to a well-to-do Jewish family (his father was an executive with the Levi Strauss and Co., his mother a Rothschild) Samuel L. Lewis is perhaps one of the most remarkable human being and western mystic of the last century. An unusual child, a child prodigy, his mother often claimed to have had a dream of the Prophet Samuel before the child's birth and there gave him the name. In 1915, at the age of 18, Samuel goes to the Palace of Education at the World's fair which was held in San Francisco. There he becomes acquainted with Theosophy but later finds that the teachings of Theosophy prove to be only intellectual and he renews his search. In November 1919, he sees a display of books while walking on Suttter Street. He is unaware of how but soon he is upstairs facing a little dark-haired lady. She is jewish. "You can explain the Kabbala?" he asks. "Yes and all religion." "What is Sufism?" "Sufism is the essence of all religion. It has been brought to the West by Hazrat Inayat Khan." The woman is Murshida Rabia A. Martin, then Inayat Khan's senior disciple, and his first appointed Murshida. Shortly after this, Samuel is formally begin his study of Zen, meeting the Zen teacher Revered M T Kirby. In June of 1923, he has a vision of the arrival of Hazrat Inayat Khan and his mystical mergence with him. The next day at noon, the summer solstice, he is summoned to meet Pir-O-Murshid. Samuel walks into the room only to see a tremendous light. "Come, don't be afraid," said the Murshid. He takes initiation. He is loyal to his teacher through thick and thin for the rest of his life: "Inayat Khan is the first person to ever touch my heart." 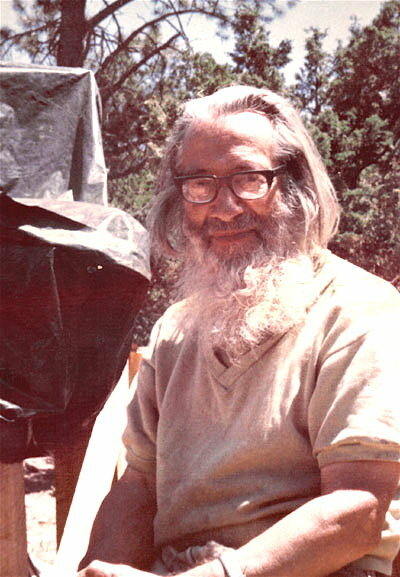 Thereafter, he introduces Rinzai Zen master Nyogen Senzaki and Hazrat Inayat Khan, who "entered samadhi together." In 1925, he is on the verge of a nervous breakdown. By his own report he goes into the wilderness to die. This is on land in Fairfax, California, owned by Murshida Martin, dedicated to the Sufi work and called Kaaba Allah. He is to make a khilvat or spiritual retreat. In the midst of it, the legendary Khwaja Khizr appears and offers him the gift of music or poetry. He chooses poetry. Khizr appear again the next night. And then all the Prophets of God appear in vision; Elijah presents him with a robe, and Mohammed appear to him as the Seal of the Prophets. For the next 45 years until his death he never questions the validity of these experiences. 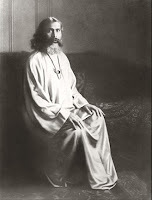 He remains silent about them until Hazrat Inayat Khan's return to America in 1926, when he seeks an interview and tells the Sufi master of his experiences. Inayat Khan summons him back for five more interviews and gives him tremendous responsibilities for the Sufi work. He makes him "Protector of the Message." During the course of these interviews, Inayat Khan yells at him that he has not as many trustworthy disciples as he has fingers on one hand. This yell literally knocks him over, and he later says that it was at this moment that he received the full transmission of baraka (love-blessing-magnetism) from his teacher. It was to be, he later declares, the strength for his whole life. Hazrat Inayat Khan tells him that he is to be a leader in the Brotherhood work, particularly in efforts to build a bridge of communication between the mystics and the intellectuals. In 1930, three years after his passing, Hazrat Inayat Khan appears to Samuel in vision and exerts pressure upon his crown center. From then on Samuel receives communications from Inayat. He writes lesson paper after paper for the Sufi mureeds. He writes numerous commentaries on the esoteric teachings of the Pir-O-Murshid. These commentaries he continues to write until his death. In 1965, Samuel makes his first trip to Asia and is accepted everywhere. 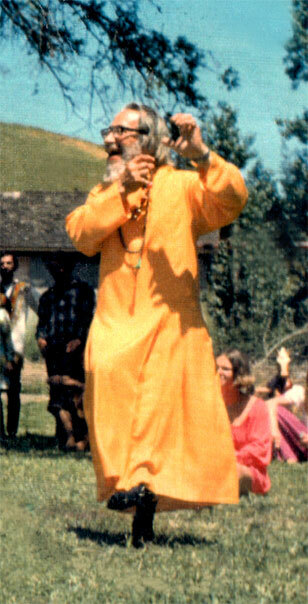 He is recognized by spiritual teachers of all schools. In 1961, he makes his second trip abroad. He is made a Murshid in the Chisti Order of Sufis, the parents school of Hazrat Inayat Khan. He originates the Dances of Universal Peace and dedicates them to the Temple of Understanding which is committed, as was Inayat Khan, to providing a house of prayer for all peoples. In 1968, he joins forces with Pir Vilayat KHan, the eldest son of his first teacher, and there follows a great flowering of the Sufi work in the United States. Murshid Sufi Ahmed Murad Chisti, as Samuel is now known, appoints his own personal successor, Moineddin Jablonski, from among his disciples, as well as several sheikhs and khalifs. In January 15, 1971, Murshid returns to his Lord. His works is continued by his energetic and devoted disciples. At the end, all the seeds of his earlier efforts and experiences came to fruition. Finally, re received the Divine instruction, "Harvest that you can, and leave the rest to Me." Pir Moineddin assumed leadership of the Ruhaniat in 1971 upon the death of Murshid Samuel Lewis, after the latter designated him as his spiritual successor. Continuing his teacher’s vision, Pir Moineddin oversaw the spread of the Sufi Message of Love, Harmony, and Beauty through spiritual practice, the Dances of Universal Peace, the Healing work, Soulwork counseling, and conscious community involvement. The Ruhaniat grew from some 150 people to a worldwide network of Sufi communities throughout forty-two states, the United Kingdom, Canada, Russia, Norway, Germany, The Netherlands, Belgium, Switzerland, Japan, Kuwait, The Philippines, Brazil, Australia, and New Zealand. The first thing that struck me about Samuel L. Lewis (called Murshid, or teacher, by his disciples) was his deep humanness. He had a gruff manner behind which shone a mischievous smile and quick wit. For all practical purposes, this was a man of the world, yet somehow a man of deep religious experience. His personality, his voice, every aspect of his being, constantly radiated positive magnetism, a sun-like energy that the Sufis call Baraka. He was an energy-transformer capable of bringing other transformers to life through a harmonizing of their energies with his, and his with the highest. Well into his seventies, Murshid was active from dawn into night. 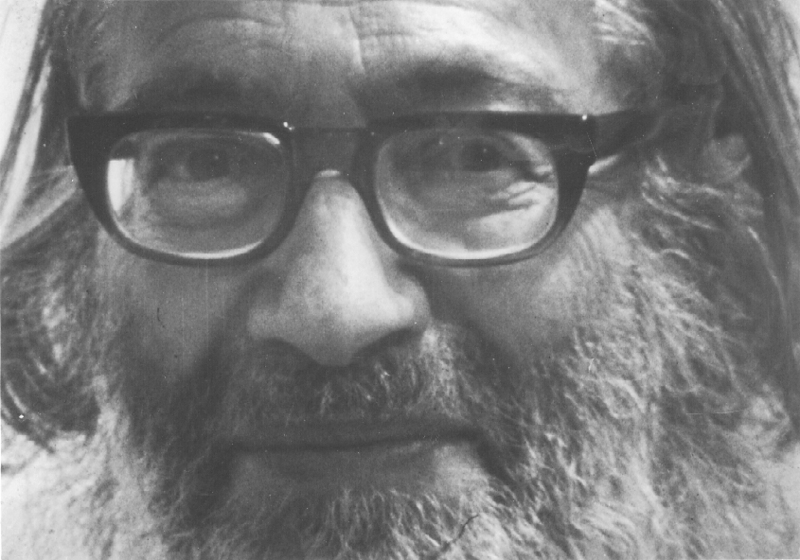 His time was given to teaching spiritual dancing and walking, counseling with disciples and spiritual aspirants, worldwide correspondence, lectures, creative writing, cooking, gardening, and more and more to trying to bring peace to the Holy Land. The amount of work he accomplished each day would have exhausted a man half his age. He explained such extra-ordinary accomplishments, saying, "It's a Grace." No other man I have ever met so fit the Sufi saying: "Sufism adapts itself to time and space." For Murshid was a spontaneous presence in himself, a perfect Taoist actor, "in the world, but not of it." "I feel like a gardener who planted a bunch of seeds and nothing came up; and again the next year he planted a bunch more seeds and nothing came up; and again the next year more seeds with the same result; and so on and on and on. And then this year, he planted a bunch of seeds: not only did they all come up, but all the seeds from the previous year came up and all the seeds from the year before, and so on. So I've just been frantically running around trying to harvest all the plants until Allah came to me and said, "Don't worry. Harvest what you can and leave the rest to Me." Otis B. Johnson was a young college professor of English in the 1960s when he joined the exodus of hippies in California to meet someone his friend said could take them where they wanted to go the fastest. Where did they want to go? They wanted to meet the divinity, obtain God-consciousness, get enlightened, find love, experience samadhi, in short - they didn't know for sure. What happened? Otis B. Johnson became Mansur Johnson during a three year encounter with Murshid Sam. This remarkable book is written in the format of a diary, detailing activities and thoughts, letters of the master to various people, which Mansur as secretary would often write for him. Mansur Johnson writes, "The truth is sometimes embarrassing. Most everything I have written is autobiographical. I'm not a journalist. I have difficulty writing about people and things. Rather, I write about how I feel, and how I interact with people and things. I am in introvert-intuitive type. This presented a problem when Murshid asked me to write his biography. "You'll have to help me," was my first reaction. Then Murshid died before he ever spoke to me about his life before I met him. Fortunately, Murshid's autobiography is in his letters. Merge those letters with my confessional journal and you have the basis for this memoir." "Pupil and teacher are one," Murshid taught. Between 1967 and 1970 our lives had merged. Murshid was one with me and all his mureeds. During this period I kept an "esoteric journal" - which Murshid asked me to do - wherein he figured prominently. What little is known about Murshid's earlier life has been presented as an editorial note in Neil Douglas Klotz's Sufi Vision and Initiation. In early 60s, with two college degrees, a wife and a child, Otis B. Johnson was looking for what many young people in that time was looking for, meaning of life, what to do, how to live? It was the time of hippie explosion. After experiencing a recording of the Human Be-In in Golden Gate part with music and speakers like Allen Ginsberg and Timothy Leary. Then Johnson's friends Carl told to him about Murshid's message, "Joy without drugs", and it struck a chord. It was a time when many young felt disillusioned and experimented with drugs. They wanted to experience oneness in shortcut. Many burned out. "Sufism is based on experience", Murshid said, Very well: drug induced mysticism was our experience. We yearned for more, and we needed guidance. We thought Murshid could take us where we wanted to go the farthest. So there we were in 1967 and celebrated July 4th Independence day at Murshid;s living room in San Francisco with my wife. To Murshid we were young people and he was then 71 years old. The Vietnam War and the hippie phenomenon associated with the Haight-Ashbury district in San Francisco were nothing to me after this meeting with Murshid. His two bedroom townhouse above a one car garage facing Precita Park in the Mission district became my school, And little by little, the living room above the garage filled up with students. Murshid was retired and lived on a small inheritance, so he was free to attend to those who was attracting. Two months later I was keeping "an esoteric journal". I never asked Murshid what an esoteric journal was or should contain. all kind of things went in the journal: from dreams and experiences I considered noteworthy to travels, books, personalities and teachings I met on the path. In short, what impressed or moved me went in, and everything was related to Murshid. He impressed me. I kept coming back. He was my teacher, my father I never had, my friend, my mentor, my self. My story during this time is Murshid's story. His story is my story., That's why this book is called Murshid with the subtitle, a personal memoir of life with American Sufi Samuel L. Lewis. The youthful protagonists called Mansur in this tale is no longer with us. Neither is the old man named Samuel. Only the fragrance remain. Only the love can give a clue. Lovers everywhere knows what I am talking about. May this book awaken you and inspire you to continue to strive for more life, more love, more joy and more peace. " Some people have complained about the abrupt ending of this book. It is true: the ending is abrupt. ... Please listen carefully. It is as it is because abrupt was how Murshid's passing seemed to so many of us. We didnt want to believe that a man so alive and vibrant could be takes from us as fast as the wipe of a scimitar guillotining a head from a body. And then there is art. And the certainty of life and death... Another reason I end the book like this is for art's sake. The intention is to invoke a circle and suggest to the reader: reread, and get stuck repeatedly, as I do, on a single sentence that embodies some noble aspect of the man known as Murshid. You may go high and dissolve in tears or soar dry-eyed in ecstasy. If so, please join me in saying, Thank you, Murshid." 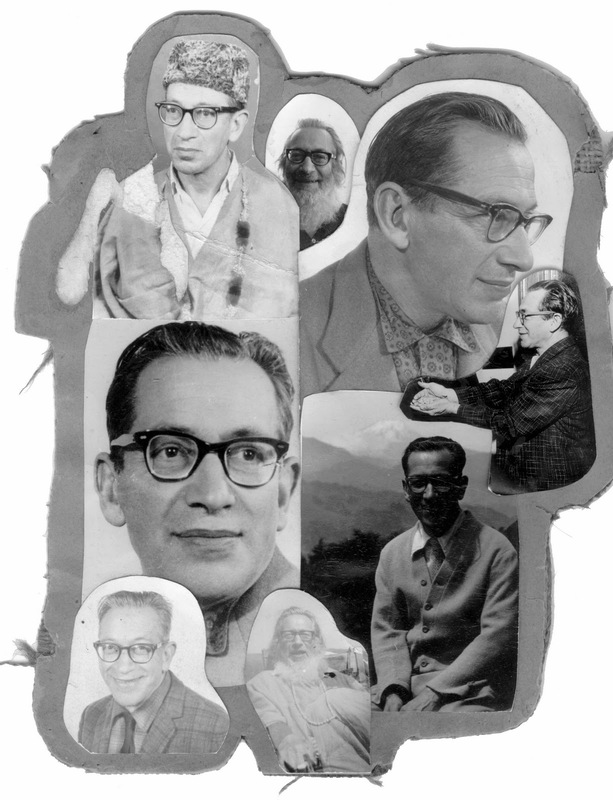 According to Murshid Wali Ali Meyer, his esoteric secretary in the last years of his life, Murshid Samuel Lewis offered Sufi teachings to the young people and hippies of the San Francisco Bay Area in the 1960s because no one else was doing it. In the upsurge of interest in Eastern spirituality of that period, Zen, Hindu meditation and many other practices were available, but not Sufism. Murshid Sam would offer a full week’s program of dharma talks, Dance classes, Walks in astrological yoga and the Sufi gathas, and during the 1960s a growing group of disciples gathered around him at his home in Precita Park, San Francisco. Often feeding his students meals from his own table, he said that his peace plan for the world was to "Eat, Dance and Pray together." The interesting period of 60s and early 70s which is marked by a pioneering interest of knowing and experiencing eastern tradition by many western seekers, flow of spiritual wisdom from east to the west, a breaking free from the old structure, embracing new culture and openenss - all of that converged. Teachers like Murshid Samuel L. Lewis who was initiated by Hazrat Inayat Khan, the Spiritual Master who brought Sufism to the West, embodied spiritual truth and transmitted to many of his disciples, and left a profound influence in the west. The pupil who gathered around such Teachers of 60s and 70s, who were quite immature at those times, but slowly but surely many of them became teaching personalities of their own who have contributed towards preserving the Message in the West. Murshid Sam is such a remarkable, many dimensioned and unique personality that if someone try to ascribe label to him, it will be a failure. Such rare beings must not be judged with petty judgment as they are pioneers in many ways and it generally takes few generations to fully grasp the effect of their contribution. While alive they work in their inspired station in both exoteric and esoteric plane, and after their leaving the body and earth, they still continue to transmit influence through their pupil, their beloveds and those who come to read his writings. We must not make the mistake to imagine that "Friends of God are dead", no they are alive, but our ordinary understanding perceive it not. Quranic teaching forbid to call those who die in the way of God dead, and all realized human beings who dedicate their life in the way of the Living God: al Hayy, in God they continue to live. True human being continues to live in their pupil's heart, in their spiritual work, in their legacy, in their writings and transmissions and many other modes than we can express in the language of market place. One of my personal interest to interview the secretary of Murshid Samuel L. Lewis comes from the very fact that I see such pioneering teachers like Sufi Sam in the West in the role of John the Baptist (Yahya Nabi) who's role is to plant seed and prepare way for greater evolution of human consciousness and embodiment of truth. The reason for this prelude post is because many of our visitors here experienced those interesting times of 60s and 70s, so I would like to open the post for questions / sharing of subject which could be part of the Sohbet / Interview. If you are blessed to meet Sufi Sam / his disciples / Mansur Johnson, or have simply read about him / part of his movement - you are welcome to share your questions that we may put forward to Mansur Johnson in the interview. You may leave your questions related to the Sufi Path, Coming of Sufi work in the West, on Murshid Sam and his legacy through Dance of Universal Peace, Sufi Ruhaniyat Movement, either in the comment section or you may email mysticsaint @ gmail.com . Please maintain your politeness (adab) in asking / posting questions. Technology of the Heart: In preparation of Sohbet with Mansur Johnson, author of "Murshid"